Last Saturday was another sunny one, so my brother and I headed out early for a day filled with food, sun, paintings and cocktails. 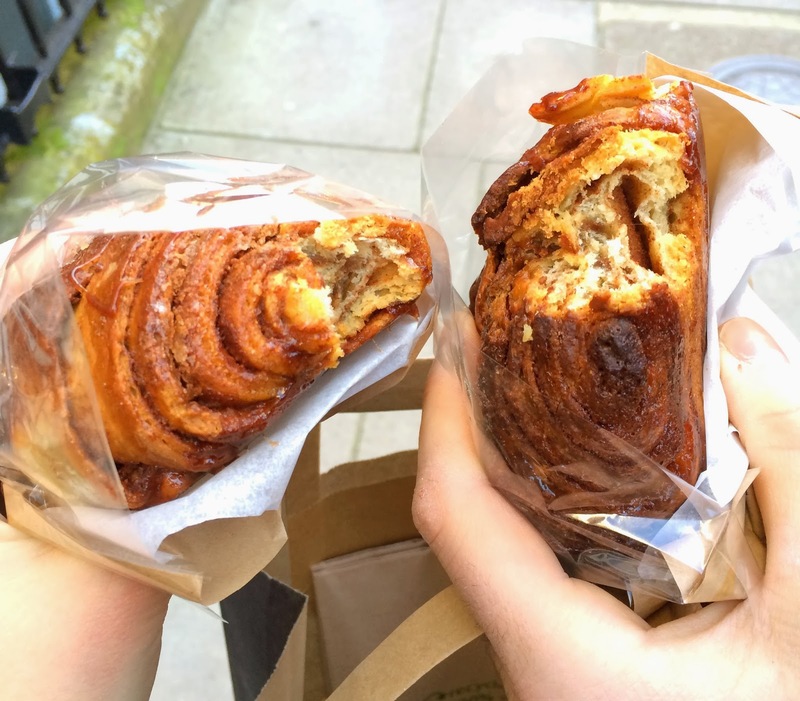 As we're both massive cinnamon bun lovers we passed by the Nordic Bakery for fresh cinnamon buns, the best in London! Next we went to Notting Hill where we quickly walked through Portobello Road which was super crowded already. On Westbourne Grove, we stopped at Daylesford for a browse; it's an incredible organic store where the products are sourced from Daylesford farm. Downstairs they have a kitchenware section. I wish I had a fridge like this at home: fresh smoothies, juices, lemonades, all you can drink! We joined the brunch queue at Ganger & Co. and after about 20 minutes we were seated at our little table. 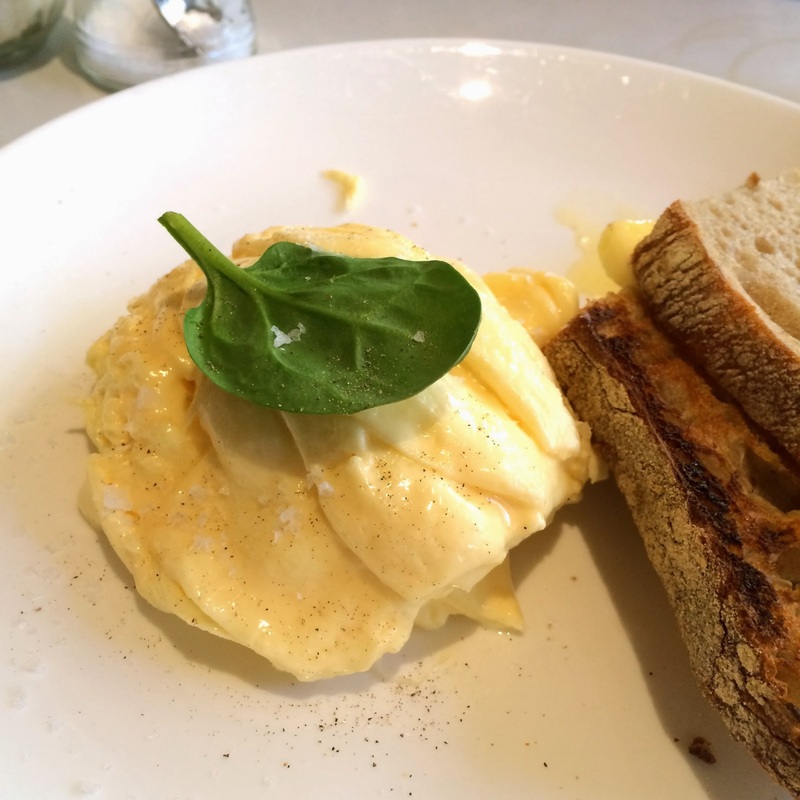 I had yummy scrambled eggs with sourdough toast and a freshly squeezed orange juice. 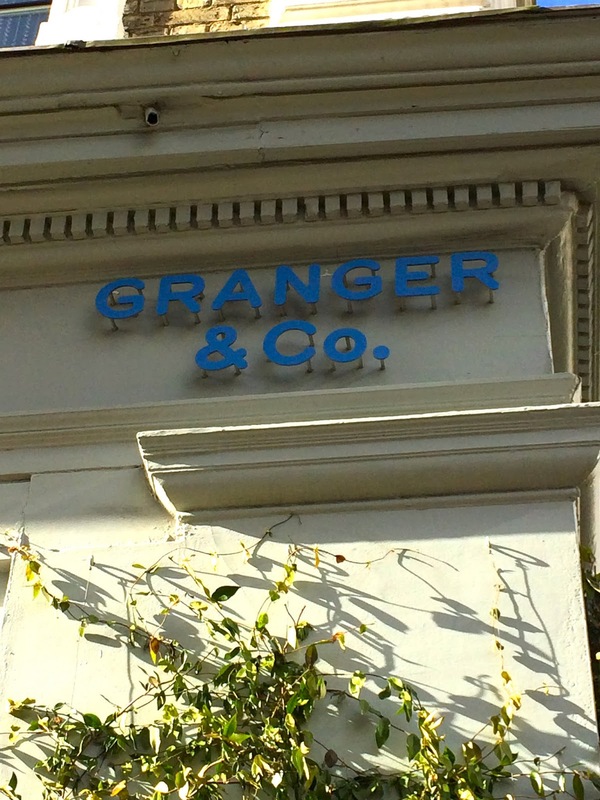 You can read my full Granger & Co. review here. London needs more brunch places like this! After brunch we made a little pit-stop at Whole Foods before going to Hyde Park to walk it all off. The Orangery in Hyde Park is the perfect place for afternoon tea, I must really try it sometime! It was so nice to see people enjoying the first spring sunshine on the terrace. We continued our walk and befriended this little squirrel. But in the end he came down to say hi, haha! I love the squirrels in London, I think they are really cute. They've just re-opened the new wing of the Serpentine Gallery so we went to have a look. The new restaurant, called The Magazine, was designed by Zaha Hadid. I think it should have been another colour because white doesn't really suit the nature surrounding it, what do you think? Touristy picture of Marble Arch. The fun thing about having someone visit me is that I can do all the touristy/cultural things which I don't really do in my daily life in London. One of these things is visiting the Wallace Collection. 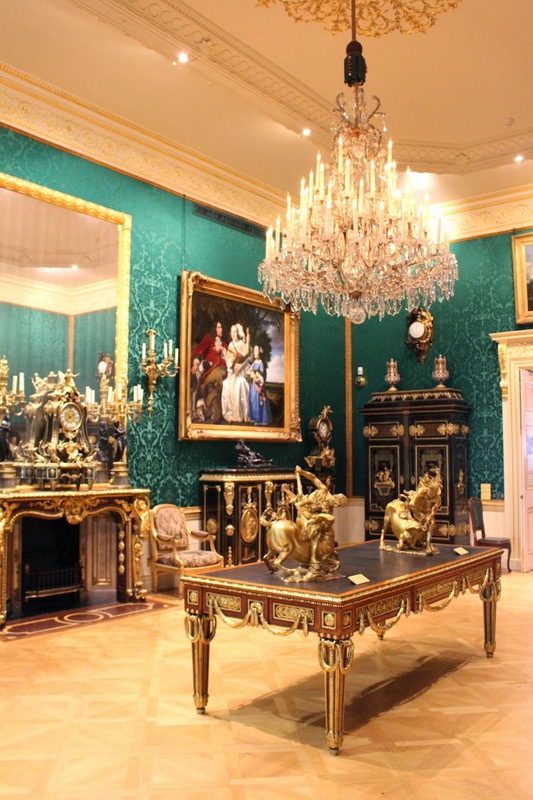 It's a collection of more than 5,000 paintings, pieces of furniture, ceramics, sculptures and other objects. Admission is free so it's worth a visit if you're in the Marylebone area. 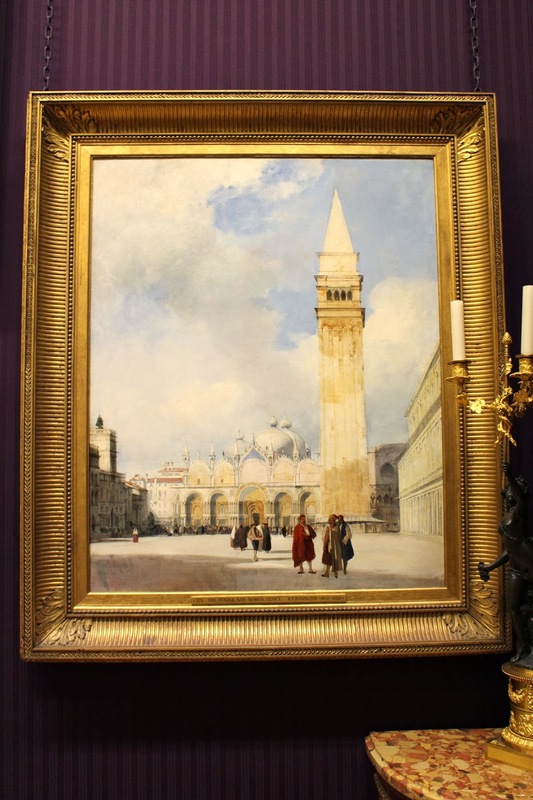 I liked the paintings of Venice because I have such good memories from summer days spent there. All that walking around made us pretty tired, so we went home and had a little power nap. We then got ourselves ready for a night in London, starting in the City. I've written about Heron Tower before, but I hadn't been at night. 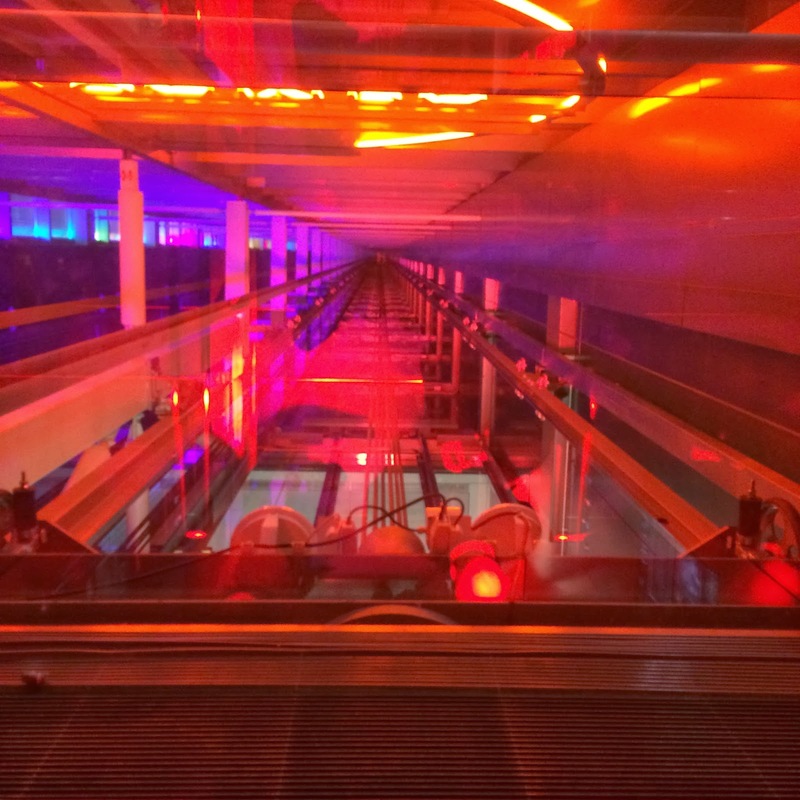 The elevator whisked us straight up to the 40th floor. We ordered some drinks at Duck & Waffle, but soon regretted it. 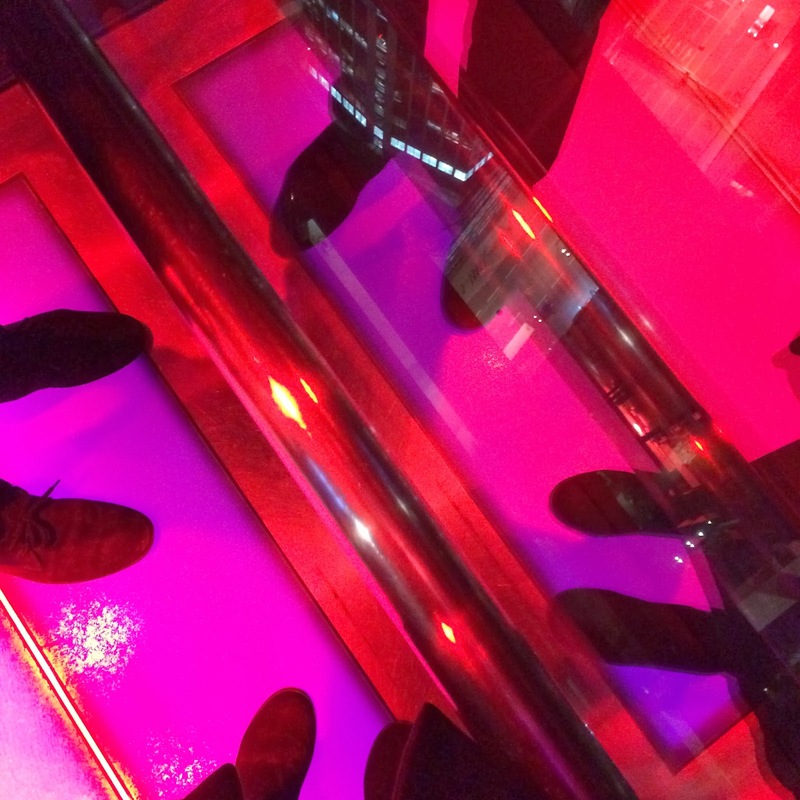 Pricey and watery cocktails isn't exactly what we wanted so we went down to Sushi Samba's bar on the 39th floor. Sushi Samba has a large terrace with this cool orange tree (including monkeys). I can't wait to come here on summer nights! I'm skipping dinner in this post because we had dinner with family friends and didn't think of taking photos. Fast forward to after dinner, we decided to end the night with a few frozen margaritas (the best ever!) at La Bodega Negra. The perfect way to end this day.